In 1853 the Canterbury Province was founded, and the Provincial Council became the main focus of political activity. 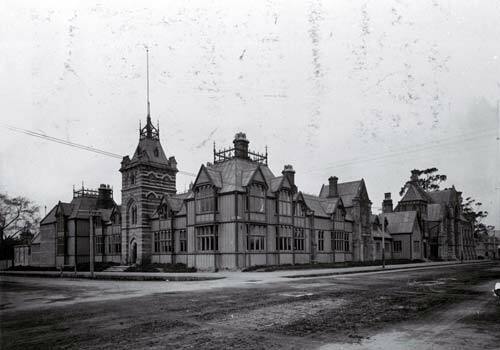 Local architect Benjamin Mountfort designed the magnificent Provincial Council Buildings in Christchurch, which were built in three stages between 1858 and 1865. In the foreground is the earliest wooden section. The buildings were severely damaged in the February 2011 earthquake, but restoration is likely.